Kataoka KG-3 Fully Automatic Keystone Grinding Machine for Piston Rings. Reinecker Keystone Grinding machine toolings can be accepted on KG-3 machine. 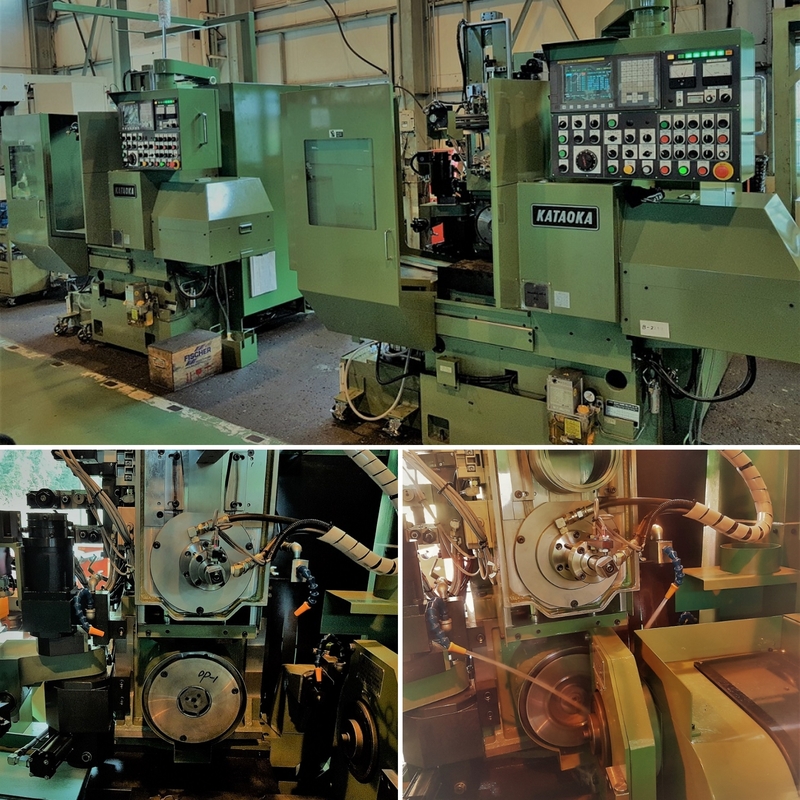 The machine is developed by Kataoka, Japan to help the customer save costs on toolings and reduce the tooling inventory. Existing Reinecker toolings can be easily mounted on KG-3. Machine equipped with latest controls from Fanuc. 2 Nos. KG-3 machine recently installed at a leading Piston Ring manufacturers facility in Southern India. We are one of the leading Machine Tool Agency houses in India. We represent many well known Machine Tool manufactures from across the globe and we are a preferred Supplier - Agency for Machine Tools in high precision industry.